Get up to 60% OFF On Trim Healthy Mama Best Sellers. Get Shopping Now! Save Yourself Up To 60% OFF Accessories. Check Them Out! Take A Look At These Up To 50% OFF Skincare Products. Order Now! Save Up To 40% OFF Sweeteners. Take A Look & Shop Now! Save 30% OFF On 12 Months Membership. Join Now! Get FREE Weekly Podcast + FREE Quarterly EZine When You Sign Up. Register Here! Sign Up For Membership Now & Receive 10% OFF On Eligible Products. Register Now! 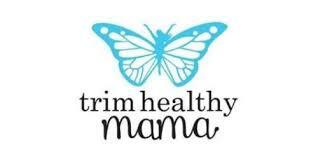 Buy your Trim Healthy Mama Cookbooks And Use This Code To Get 30% OFF. Hurry Up! Get 15% OFF Your Order By Using This Code. Try It! For a limited time only! Get 25% OFF Paperback Orders. Apply This Code Now!